If you want to be ready for the winter, you’ve got to act in the fall. Here are 10 fall maintenance projects you’ll be thankful took care of, as well as a few bonus tips. It’s the time of year when the bitter winds and the waning sunlight make any task that doesn’t involve sweaters and cocoa sound like dull work. However, if maintenance work sounds bad now, think of what it will sound like when winter comes and everything is frigid and barren. Fall is the time to think about maintenance for your home. Now that you have your house and you’re a seasoned homeowner, you’ll know that you’ve got to take care of your house just like you would a child. Yes, that’s correct: just like you would your own child. It’s that important that you maintain your property. I want to talk about some of the tasks that are going to help you maintain the value and integrity of your home as the season changes. Remember, doing these now will prevent more work later on when it’s even chillier. Care for your trees and shrubs. If you have a tree with dead wood in it, you want to make sure that it’s strongly rooted and won’t fall over if we get a heavy snowfall or a bad storm. Take care of what’s surrounding your house. Rake your leaves. If you get a nice snow cover, you don’t want anything to suffocate your grass. Raking before the snow comes will allow your grass to grow nice and green in the spring. 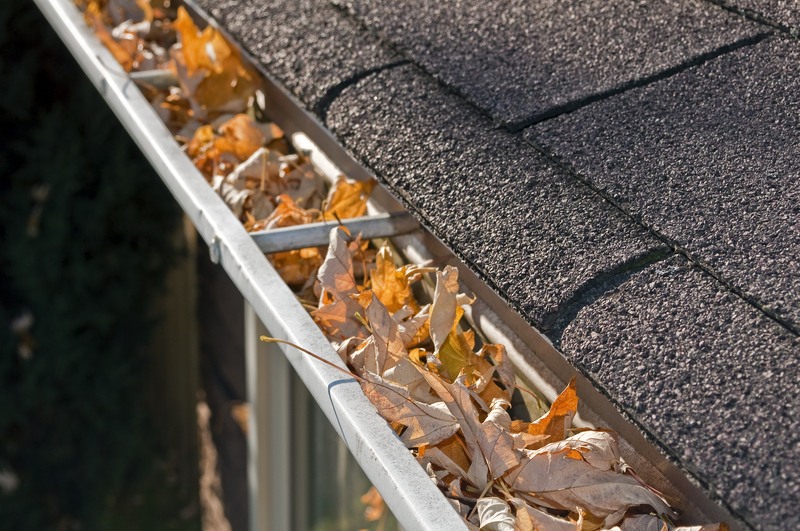 Clean your gutters and your downspouts. The reason that this is important is that if we do get a freeze, you don’t want the gutters to be weighted down so much that they actually pull away from the property. That could become a problem in the future. Check your walkways and railings. Make sure these are clear and secure. Shut off your exterior faucets. I have a side-reeling hose on my house. It had worked fine, but when I went to turn it on, I discovered that where it had been connected had frozen, expanded, and busted. I had to get a new one. So take your hoses down and shut off all the water to the exterior. When you do this, make sure you don’t have any water in the line because that could be an issue. Check your doors for drafts. If you notice that your doors are a little breezy, put a little bit of weather stripping around the door to help keep that warm air in and keep the cold air out. Check your safety devices. You don’t want alarms going off for no apparent reason. Now is also a good time to check that your smoke alarms and carbon monoxide detectors are still working. Also, remove any A/C units from your windows. Clean your dryer vents. As the moisture comes out, the cold could cause the lint to freeze up in there. Consider an energy audit. You can always have an energy audit conducted through LG&E. They’ll be happy to come out and tell you where you might be wasting some energy. Consider a plan for your HVAC service. You should try to have your HVAC system serviced once every six months, that way you’ll know that the mechanicals in your house are working well when the cold of winter does eventually settle in. There are a few other things you can do to prepare your home for the cold weather as well. For instance, make sure you seal any gaps around the exterior of your property. That way, you won’t have to deal with mice or other critters inside your home. I also recommend stocking up on winter supplies in case of a major snowstorm. Make sure that your shovels and ice scrapers are in good shape. Pick up a bag of ice melt that is safe for any pets and plants, and restock your emergency kits for your car and your house. If you have a snowblower, have it serviced and purchase fuel. It’s always a good idea to clean your chimney this time of year, too. Finally, take a day to tackle some deep-cleaning tasks that you might have missed during spring cleaning. For instance, in the kitchen, you can clean the oven, wash the walls, and scrub tile grout. A clean home will feel cozy and bright as the days get shorter and darker this season. Like I said earlier, you should treat your house like you would your own baby. As always, if you have any questions or know someone who’s looking to buy, sell, or invest in real estate, please don’t keep us a secret. We’re here to help, and we’re always happy to talk to you. Hope to speak with you soon!